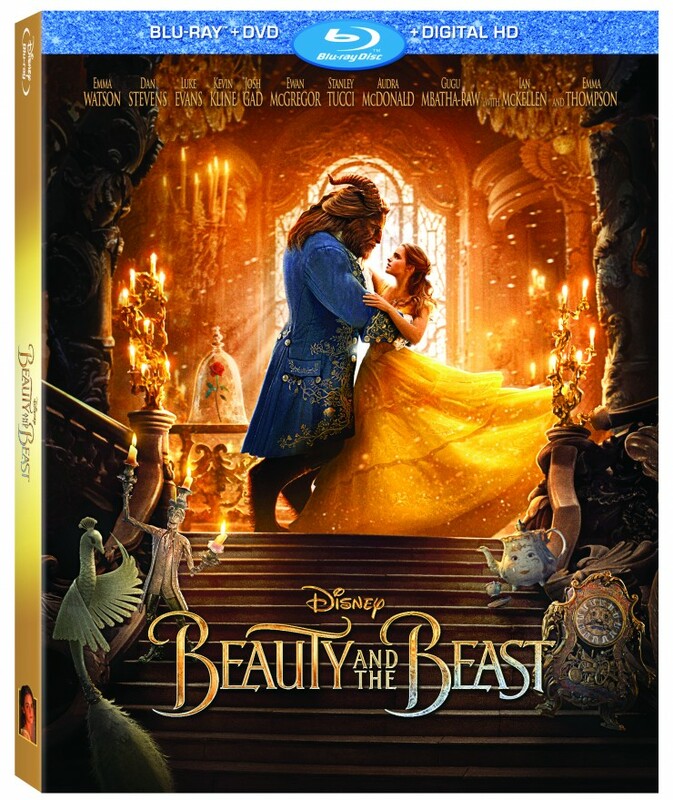 Disney’s Beauty and the Beast Blu-Ray - Frugal Mom Eh! I’ve been super excited to bring home a blu-ray copy of The Beauty and the Beast live-action remake. The girls didn’t see it in theatre as I wasn’t sure how engaged they would be with the live-action when they are so used to the animated version. I shouldn’t have worried though, we sat together on the couch and watched it from start to finish and then they sat through a replay of it right after… and they watched nothing but the blu-ray of Beauty and the Beast all weekend long. I saw the animated version of Beauty and the Beast when it first hit theatres and it was love at first watch for me. I fell in love all over again with the story after watching the remake. Emma Watson as Belle is simply brilliant. She has this intelligence and grace that comes so naturally to her that it takes no stretch of the imagination to stop seeing her as Emma Watson playing Belle and just seeing her AS Belle. The music and visuals really come together well to make this remake an instant classic that is sure to be loved by Disney fans of all ages. Simply magical. I just recently seen this movie and i loved it ! My girls saw this twice in the theaters. They loved it! saw it in theatres and i’m going back to the imax this week to see the movie.